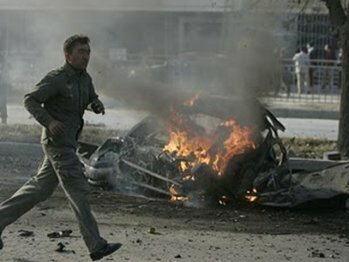 KHOST – Three suicide bombers killed 20 people in an attack on a construction firm in a restive province in southeastern Afghanistan, government officials said on Monday, with the Taliban claiming responsibility for the assault. Violence across Afghanistan has spiralled in the past year, with Taliban-led forces stepping up their fight against the Afghan government and its Western backers as Kabul prepares to take over responsibility for security gradually from foreign forces. PESHAWAR – A suicide car bomb targeting a police station killed five people and injured more than 20 others in Hangu district’s Dawaba area on Thursday. The bomber, riding an explosive-laden vehicle, blew himself up near the main gate of the police station, situated around 22 kilometers away from Hangu. PESHAWAR – A suicide car bomb targeting a police station killed five people and wounded 25 others in a restive northwestern Pakistani town, police said. A police officer and four civilians died in the attack in Doaba town in Khyber-Pakhtunkhwa province, while part of the police station was demolished and at least 10 houses damaged, senior local police official Abdul Rashid said. LAHORE – Nabila,16, a housemaid committed suicide over a domestic issue at the house of her employer in Gulberb on Sunday. Nabila was a resident of Sheikhupura and had been working as a housemaid at 157-A-II, Gulberg for the past six years. KASUR – An old woman committed suicide over a domestic issue here on Monday at village Harrihar in the precincts of Sadar Police Station. Reportedly, Haleema Bibi was divorced some years ago and often remained upset on this issue. On the day of the incident, she ended her life by hanging herself from a tree. CONSTABLE ROBBED OF CASH, VALUABLES: Bandits deprived a constable of his motorcycle, cash and a cell phone at Chak Deeda in the premises of Mustafaabad Police Station. 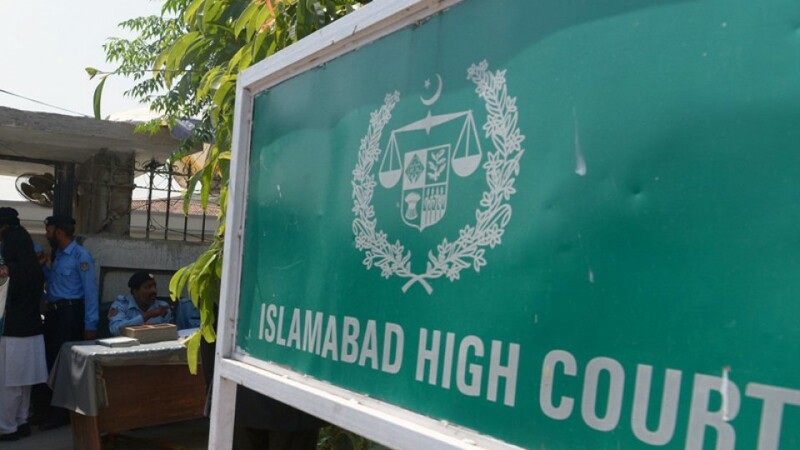 LAHORE – Zahra Faizan, wife of Faizan Haider who was shot by Raymond Davis at Mozang Chungi Chowk, has threatened to commit suicide if her husband’s killer was not hanged. PESHAWAR – A suicide car bombing and an ambush by militants targeting police in the northwest of the country killed 15 people including nine officers on Thursday. In Hangu, a suicide car bombing targeting police killed nine people, including three officers and injured more than 30. Officials said police patrolling the Hangu bypass road attempted to stop a car reportedly loaded with 300 kilogrammes of explosives, but the bomber hit a police van killing nine people. RAMADI – A suicide bomber blew himself up inside a bank in the northwestern Iraqi city of Haditha on Thursday, killing nine people including three policemen, the town’s mayor said. Eight other people, all civilians, were wounded in the midday blast at a branch of the state-owned Al-Rafidain bank in Haditha, 210 kilometres (130 miles) northeast of Baghdad, Mayor Bassim Naji said. KARACHI – A suspected would-be suicide bomber was accidentally killed in an explosion at an abandoned place behind the Malir Development Authority flats near the Shah Latif police station. Eyewitnesses in the area said that the explosion was intense and it destroyed the windows of several nearby houses. MAZAR-I-SHARIF/KHOST – A suicide bomber detonated explosives strapped to his body at a sports field in northern Afghanistan Saturday killing three and wounding 38, a provincial governor said. Abdulhaq Shafaq, the Faryab governor, said the attack took place in Shirin Tagab district during a buzkashi game, a traditional sport involving grabbing a dead goat or calf from the ground while riding a horse at full gallop. KANDAHAR – A suicide car bomb attack killed an intelligence agent and wounded 26 other people in an Afghan town on the Pakistan border Thursday, officials said, in the latest in a wave of blasts. The explosives-packed vehicle with two bombers inside blew up in Spin Boldak after intelligence agents acting on a tip-off opened fire in a bid to stop it, Lutfullah Mashal, a spokesman for Afghanistan’s national spy agency, said. MOGADISHU – A suicide car bomb ripped through a police base in Mogadishu on Monday, killing nine people after a weekend of bloody fighting between pro-government forces and Al Qaeda-inspired insurgents. According to police sources, at least nine people were killed when the explosives-laden vehicle blew up at the Darwish camp, a site used by a police unit and adjacent to a police academy. SAHIWAL – A young girl committed suicide over some domestic problems. Reportedly, 20-year-old Anam, a resident of Chak No 82-5L, frustrated by domestic problems, jumped into Lower Bari Doab Canal and drowned. MAN ELECTROCUTED: A man was electrocuted while repairing a signboard of a hotel. Reportedly, Muhammad Razzaq, a servant at a hotel, was repairing a signboard at Jogi Chowk when he received an electric shock and died instantly. LAHORE – A young man committed suicide by swallowing poisonous pills in Shahdara Police precincts on Friday. Police said that Nawazish Ali (24), a resident of Shahdara Town, locked himself in his room and took poisonous pills after his parents refused to marry him to his neighbour, whom he loved. His brother broke into the locked room to find Nawazish dead. SAMARRA – A suicide bomber blew himself up inside a bus filled with Shiite pilgrims at a checkpoint outside the Iraqi city of Samarra on Saturday, killing at least 27 people, police sources said. “The suicide bomber quickly ran into the bus when it stopped at a checkpoint several kilometres (miles) outside Samarra, and detonated his vest inside the vehicle,” the police official said.